The reason most go to Africa is to see the incredible animals, but it is not clear to us that visitors spend adequate time thinking through what they actually want to see and how.they want to see it—from a vehicle, from a hide, on foot, in a canoe? The remoteness of some of Zimbabwe’s National Parks means that they have retained their wildlife numbers and the comparatively low visitor numbers on Zimbabwe safaris. The private concessions operating within the National Parks have ensured that wildlife conservation has been maintained and areas like Hwange offer some of the best game-viewing in Africa in the dry season months of June to October. Zimbabwe has focused its tourism towards quality rather than quantity, ensuring an exclusive safari experience. For example, it is likely that you will only share your safari experience in Hwange National Park with a handful of other people, unlike the neighboring Chobe National Park. This level of remoteness creates a feeling of exclusivity, providing you with a more personalized and private experience. Enjoy close up encounters with wildlife, allowing you to truly appreciate wild and unscathed Africa, without the hordes and chaos sometimes endured in other safari destinations. Zimbabwe safaris are justifiably known for their excellent guiding. The reasons are multi-faceted but the strictness of the Zimbabwean guiding exams combined with the fact that guiding is a comparatively well-paid career in Zimbabwe means that there are plenty of high caliber candidates keen to undertake the rigorous training. In the dark years of Zimbabwe’s economic tsunami, they sought jobs in neighboring countries but with the resurgence of Zimbabwe’s tourism, many guides have returned to Zimbabwe. There is nothing like it! Zimbabweans are known for being some of the friendliest and most welcoming hosts in the world – there is no better place to experience this than being on safari in Zimbabwe. At each lodge, you will be welcomed with open arms, a big smile and greeted like old friends popping in for a visit. There may have been tough times recently, but the spirit still lives on and Zimbabweans pride themselves in showcasing what Zimbabwe has to offer each and every visitor. The close-knit communities ensure that all visitors feel welcomed and safe, which instills an admiration of the ‘can do’ attitude and leaves guests yearning to return. Hwange National Park, set aside purely to protect wildlife in its natural habitat, is one of Africa’s biggest conservation areas. The level of conservation means that it provides an opportunity to see Africa’s largest draw, the big five, with elephant sightings being particularly impressive. The diverse and remote landscape creates concentrations of game including elephant, buffalo, cheetah, leopard, and lion. It also contains some of the most diverse birds in the world, with over 420 species being recorded. 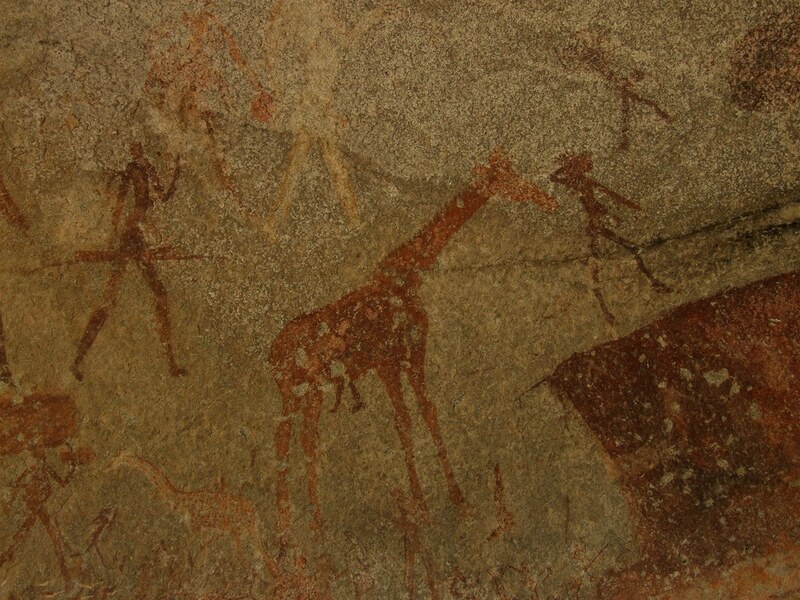 Zimbabwe is teeming with history and heritage, with unique rock art and archaeological ruins a particular attraction. Evidence of the ancient civilization can be found at the Matobo Hills, where some of the best-preserved rock paintings in Africa are located, as well as a selection of other interesting artifacts dating all the way back to pre-middle stone ages. Zimbabwe’s wealth of ethnic groups includes the Shona people, whose soapstone sculptures are famous in the artisanal world. See for yourself the numerous awe-inspiring sights Zimbabwe has to offer, and broaden your horizons as you learn about a culture unheard of by many. Zimbabwe safaris offer abundant opportunities to enjoy your game-viewing both on land (by vehicle or foot) and from the water either by boat or canoe. Places of interest include Lake Kariba and Mana Pools in particular. Here you can explore the quiet inlets and tributaries and enjoy close-up views of semi-aquatic elephants as they enjoy the water. These are also two of the finest areas in Zimbabwe to try your luck at the famous tiger-fishing. Game viewing from canoes has become popular on the large rivers and lakes in Southern Africa. A canoe has the advantage of a vehicle in that animals are less afraid of it than of a man on foot and have the added advantage of being quiet, assuming you don’t bang around too much with your paddle. You can also get more exercise paddling a canoe than sitting in a vehicle. One of the best canoe experiences is on the Zambezi River. 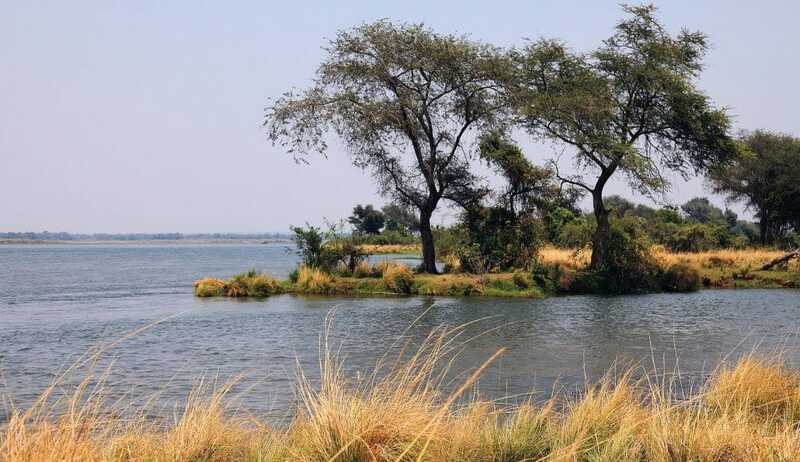 The Zambezi is an impressive river, strong and wide, and the valley through which it flows is spectacularly beautiful. The Zambian escarpment rises in the distance behind the northern shore. James’ route takes you on the river through Mana Pools National Park over the course of four days and three nights. It is big game country and you will see plentiful elephant, buffalo, and hippo, as well as many species of antelope. The bird life along the River is particularly notable. Canoeing in Africa is not for the faint of heart. The hippos and crocodiles see too that. But your guides know exactly how to avoid them. Zimbabwe safaris offer a diversity of landscapes. From the awe-inspiring power of the Victoria Falls to the spiritual serenity of the Matobo Hills; the languid beauty of Lake Kariba to the game-rich plains of Hwange, and from the watery paradise of Mana Pools, to mountainous rugged scenery of the Eastern Highlands – Zimbabwe seems to have all you could want from a safari holiday. This diversity of landscapes means that Zimbabwe is a veritable treasure chest for keen birders. There are over 670 bird species ranging from the tiny common waxbills with their bright blue breastbones to impressive raptors including the martial and black eagle. Whilst none are endemic to Zimbabwe, there are near-endemics often found in the Eastern Highlands. If you are a keen birder, then the best sightings are to be had from November – April when many migratory species make their way south during the European winter. We especially recommend the Mana Pools and Lake Kariba but also Hwange National Park and the lodges along the Zambezi River near Victoria Falls. The high guiding standards in Zimbabwe means that this is an excellent place to try a walking safari with an experienced and armed ranger. Bush walks of all durations are available in Mana Pools, Lake Kariba and Hwange whilst the lack of predators in the Matobo hills means that this offers the appealing prospect of self-guided walking. Zimbabwe is a landlocked country in Southern Africa known for its dramatic landscape and diverse wildlife, much of it within parks, reserves and safari areas. Most of the interest in this beautiful country centers around the mighty Zambezi River with the famous Victoria Falls, Kariba Dam, Matusodona and Mana Pools. Hwange National Park is the largest game reserve in Zimbabwe and is within a 2-hour drive from the Victoria Falls making for a great tour combination. Other areas worth visiting are the Highlands in the east and the Matobo National Park, home to some of the most majestic granite scenery in the world. Situated immediately north of South Africa, between the Limpopo River in the south and the mighty Zambezi River in the north lies the kingdom of Zimbabwe. Despite the country’s political turmoil, Zimbabwe safaris are affordable and safe. Zimbabwe is home to three cultural UNESCO world heritage sites and two natural UNESCO sites. These sites include Matobo Hills, Zimbabwe Ruins, Khami Ruins, Mana Pools and Victoria Falls which is also one of the seven natural wonders of the world. 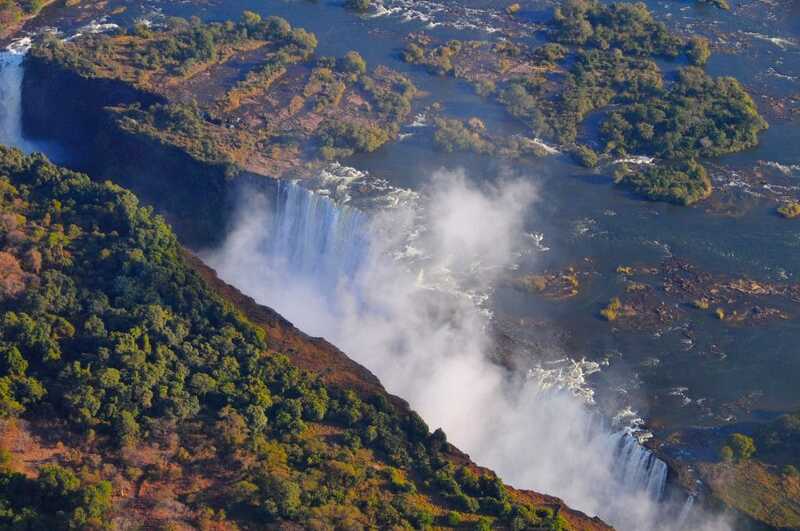 The Victoria Falls is one of the most awe-inspiring places on the planet. Roughly, twice as high and one and a half times the width of Niagara Falls, the Victoria Falls is truly a remarkable sight. The earliest known inhabitants of Zimbabwe were the Khosian, a hunter-gatherer society that migrated south from Tanzania. Around 2,500 years ago, these people were steadily replaced by the more agrarian ethnic groups which reside in the country today, notably the Shona and the Ndebele (Matabele). The earliest foundations of what would become the continent’s greatest civic site, Great Zimbabwe, were laid during the Iron Age. Many historians consider the site to be the capital of the Ophir kingdom and home to Solomon’s gold. Great Zimbabwe was home to a great kingdom throughout the 12th and 13th centuries, set among major trading routes for gold and a flourishing cattle and agricultural economy. Zimbabwe became a colony of the British, who gained expansive mining claims from King Lobengula of the Matebele during the 1860’s. The great industrialist-explorer Cecil Rhodes is credited with these acquisitions, which laid the groundwork for the creation of Rhodesia. Both the Shona and the Matebele rejected occupation, and a series of bloody wars preceded the hoisting of the British flag in 1890. British colonials swarmed into the country, exploiting its mineral deposits of gold and copper and began to farm the prize soils for tobacco, maize, and coffee. After nearly a century of British colonial rule, Zimbabweans rose again to challenge the British, working under the government of Ian Smith. In 1965, Smith signed the Unilateral Declaration of Independence, dooming the country to a bloody decade of violence known as the Bush War. The Shona-based party ZANU-PF (Zimbabwe Africa People’s Front) merged with the Matebele PF (Patriotic Front) in 1976, consolidating resources and eventually forcing an election in 1979. When the smoke had cleared, over 27,000 people had lost their lives. For many years, Zimbabwe was considered quite a success story in Southern Africa. Under the leadership of President Robert Mugabe, leader of the ZANU-PF forces during the Bush War, the government effectively developed their agricultural sector and foreign currency flowed into the country to help construct mines and office towers. Race relations also strengthened steadily. Elections were held accordingly, and Mugabe’s ZANU-PF party saw no opposition for twenty years. However, within the last few years, Zimbabwe’s strength as a country has been called into question due to new social changes and economic problems. With a growing population and a shortage of arable farmland, the question of land distribution became apparent. Rising inflation, huge unemployment, and a ludicrous war effort in the Democratic Republic of the Congo crippled the economy and created a shortage of foreign currency. Rumors of alleged corruption marred the Mugabe regime. Formed in September 1999, the Movement for Democratic Change (MDC) established under Morgan Tsvangirai, presented Mugabe with his first opposition. Facing Parliamentary elections in July 2000, Mugabe launched a massive campaign of terror to intimidate voters. He urged veterans of the Bush War to move onto white farms in an effort to accelerate land distribution, an issue he had repeatedly ignored in his rule. Over thirty people died during the conflict which eventually saw the election of 57 MDC parliamentary seats. Though ZANU-PF took 62 seats, for the first time in the history of modern Zimbabwe, Mugabe faces a formal opposition and his party lacks the crucial two-thirds majority in Parliament. During this period of turmoil, the economy suffered and new social tensions between Zimbabwean ethnic groups were renewed. In 2018, Mugabe was eventually deposed. Zimbabwe, with its economy in tatters, agriculture in what had been called the breadbasket of Africa, all but non-existent, is walking the long road to recovery and prosperity. All through these trying times, Victoria Falls has almost functioned as a country on its own and tourism continues to be strong. It is now possible to safely add other destinations to an itinerary making Zimbabwe the new HOT destination in 2018. Nature has given Zimbabwe one of the finest climates in the world, which is warm without being oppressive and with a daily average sunshine ranging from four to ten hours all year round. Generally, the days are bright and sunny, the nights clear and cool. The central highveld plateau has temperatures coming up to 28°C. Lower-lying parks such as Hwange and Zambezi NP are warmer year-round and temperatures can reach 31°C. Mana Pools, Matusadona, and Gonarezhou are even lower and get hot, with temperatures soaring to 35°C. The Eastern Highlands are much colder and receive significantly more rain. During the Wet season, from November to March, rains usually fall in heavy afternoon showers, but they can sometimes be lighter and continuous for a couple of days. The Dry season, from April to October, is pretty much rain- free and colder. Nights and mornings can be as cold as 5°C to freezing, but daytime temperatures are still pleasant with a great deal of sunshine. Zimbabwe experiences winter and summer in opposite times as Europe and North America and they correspond to the Dry and Wet season. Zimbabwe has rich and diversified cultural beliefs, which blends very well with such wonders as the mighty Victoria Falls. Harare is derived from the Shona word “haarari” literally translated as one who does not sleep. Harare is Zimbabwe ‘s prime city and home to close to 2 million people. Zimbabwe ‘s people have a rich and colorful history. They welcome visitors to their country with a broad warm hospitality. Zimbabwe offers a diversity of scenery, activities and a friendly hospitality that most visitors often leave with a desire to return. Zimbabwe has many different cultures, which may include beliefs and ceremonies, one of them being Shona. Zimbabwe’s largest ethnic group is Shona. The Shona people have created many sculptures and carvings of gods (idols), which are made with the finest materials available. Traditional arts in Zimbabwe include pottery, basketry, textiles, jewelry and carving. Among the distinctive qualities are symmetrically patterned woven baskets and stools carved out of a single piece of wood. Shona sculpture, in essence, has been a fusion of African folklore with European influences. Also, a recurring theme in Zimbabwean art is the metamorphosis of man into beast. Among members of the white minority community, the theatre has a large following, with numerous theatrical companies performing in Zimbabwe’s urban areas. Though the country’s art is admired by those that know of its existence, several Zimbabwean artists have managed to gain a world audience, to name some world-famous Zimbabwean sculptors, we have Nicholas, Nesbert and Anderson Mukomberanwa, Tapfuma Gutsa, Henry Muyradzi, and Locardia Ndandarika. Internationally, Zimbabwean sculptors have managed to influence a new generation of artists, particularly African Americans, through lengthy apprenticeships with master sculptors in Zimbabwe. Contemporary artists, including New York sculptor M. Scott Johnson and California sculptor Russel Albans have learned to fuse both African and Afro-diasporic aesthetics in a way that travels beyond the simplistic mimicry of African Art by some Black artists of past generations in the United States. Like in many African countries, a majority of Zimbabweans depend on staple foods. “Mealie meal”, or cornmeal as it is known in other parts of the world, is used to prepare bota, a porridge made by mixing cornmeal with water, to make a thick paste. This is usually flavored with butter or peanut butter. Bota is usually eaten for breakfast. Cornmeal is also used to make sadza, which is usually eaten for dinner, and by many for lunch too. The process of making sadza is similar to bota, however after the paste has been cooking for several minutes, more cornmeal is added to thicken the paste until it is hard. This meal is usually served with vegetables (spinach, chomolia, or spring greens/collard greens), beans, and meat (stewed, grilled, roasted, or sundried). Sadza is also commonly eaten with boerewors (a sausage made from beef or pork), chicken, or curdled milk (sour milk), commonly known as “lacto” (mukaka wakakora). Rice and chicken with coleslaw salad are often served as the main meal. Graduations, weddings, and any other family gatherings will usually be celebrated with the killing of a goat, sheep, or cow, which will be braaied (or barbecued) for the gathered family. Since Zimbabwe was a British colony, they have adopted some English habits. For example, most people will have porridge in the morning, however, they will still have 10 o’clock tea (midday tea). They will have lunch, which can be leftovers from the night before, freshly cooked sadza, or sandwiches (which is more common in the cities). After lunch, there is usually 4 o’clock tea (afternoon tea), which is served before dinner. It is not uncommon for tea to be had after dinner. Zimbabwe has 17 official languages, Chewa, Chibarwe, English, Kalanga, “Koisan” (presumably Tsoa), Nambya, Ndau, Ndebele, Shangani, Shona, “sign language” (Zimbabwean sign languages), Sotho, Tonga, Tswana, Venda, and Xhosa. Much of the population speak Bantu languages, such as Shona (Chishona) (76%) and Ndebele (18%). Shona has a rich oral tradition, which was incorporated into the first Shona novel, Feso by Solomon Mutswairo, published in 1957. English is spoken primarily in the cities, but less so in rural areas. Education in Zimbabwe is taught in English, Shona, and Ndebele. Many rural primary schools teach in the native language until grade three; then, school is taught in English. All visitors will need a passport that is valid for at least six months. The local currency is the US$ dollar. Travelers’ checks and Visa & Mastercard cards are honored at almost all hotels, lodges, and shops. There is a Barclays bank in Chiredzi. Travelers from South Africa or persons coming from Western countries need no inoculations. Anti-malarial medication is advised, especially if you are visiting Victoria Falls, Hwange, and the Zambezi Valley. Please check with your doctor or health department on current anti-malaria medication information. An up-to-date tetanus shot is always advisable. The Republic of Zimbabwe is a landlocked country situated in southern part of Africa, lies between the Zambezi and Limpopo rivers. On the south it’s border touches South Africa, Botswana to the west, Zambia to the northwest and Mozambique on the eastern side. The capital and largest city are Harare.